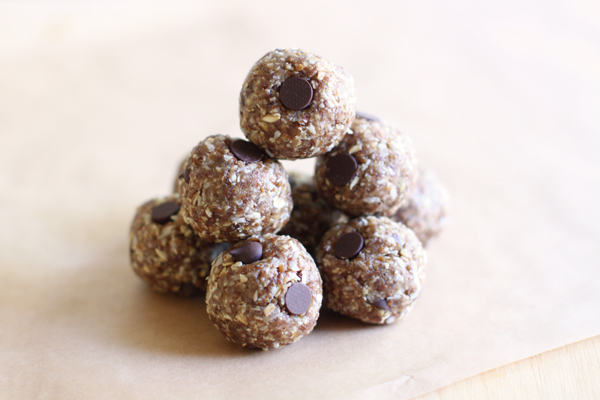 After I had a baby, Pinterest started showing me recipes for lactation cookies. I was intrigued. I’ll admit it: They had me at cookies. 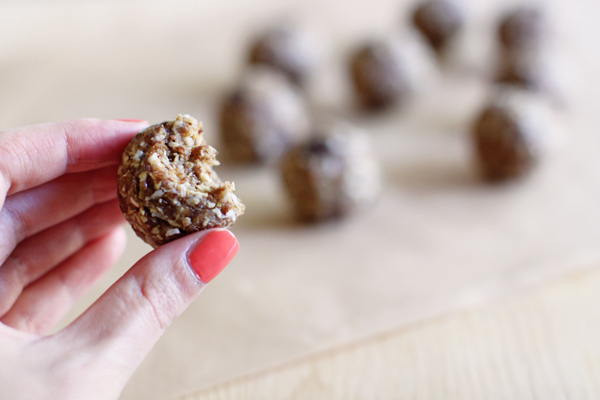 Well, it turns out that lactation cookies are just regular cookies with a few extra ingredients that may also help nursing mamas boost their milk supply. It’s a brilliant concept. 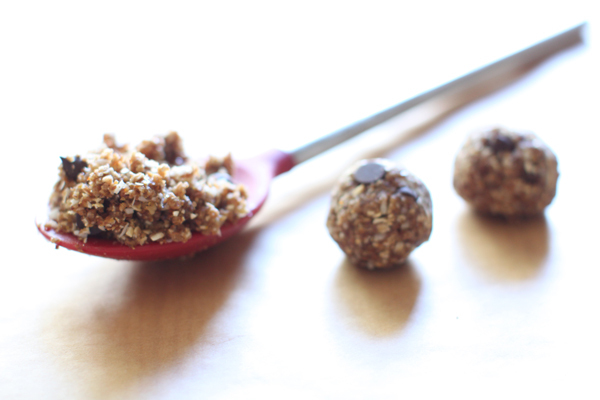 I can make a whole batch and call them lactation cookies so that my husband won’t touch them! Sadly, many of the recipes I was drooling over had loads of butter and added sugar, which aren’t going to help me lose the last of the baby weight. So I came up with my own recipe with a few healthier swaps, like nut butter instead of actual butter and dates and shredded coconut instead of brown and white sugar. I also went the raw route so that I can eat these cookies right away (breastfeeding—and now pumping at work—leaves me around-the-clock ravenous. Anyone else?). 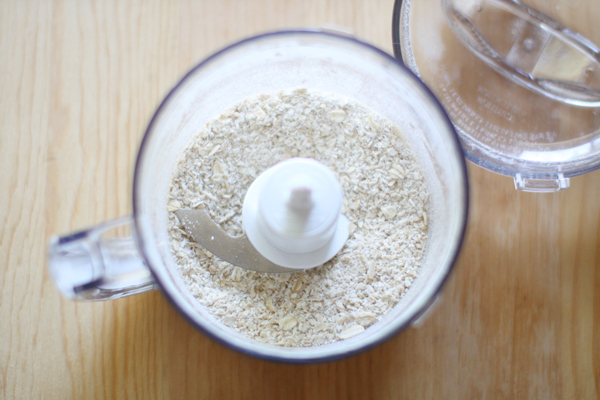 As for galactagogues—that’s a new-to-me word for milk-making things—I included easy-to-find (read: already in my pantry) options like oatmeal, almond butter and flaxseed. Since those ingredients are so standard in our house, I feel a bit guilty calling these lactation cookies. 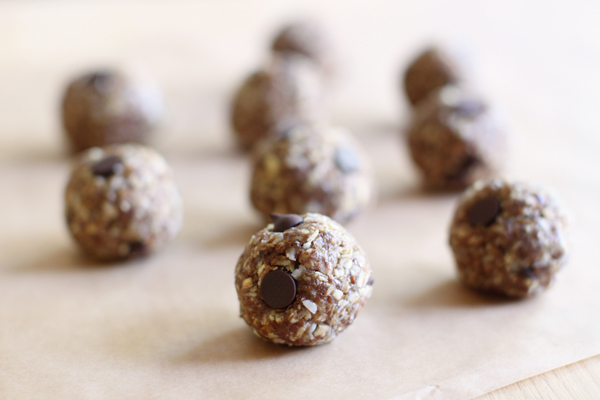 These no-bake bites are really for anyone in need of a healthy, easy-to-make treat—sharing still optional. 1. 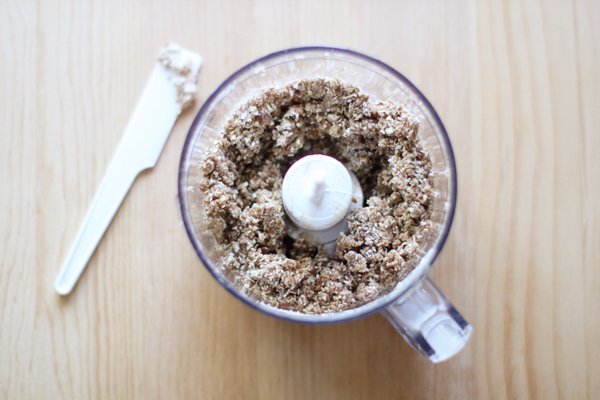 Place oats in a food processor and grind into a flour. 2. Add almond butter, dates, vanilla, cinnamon and salt. Process until combined into a thick dough. 3. 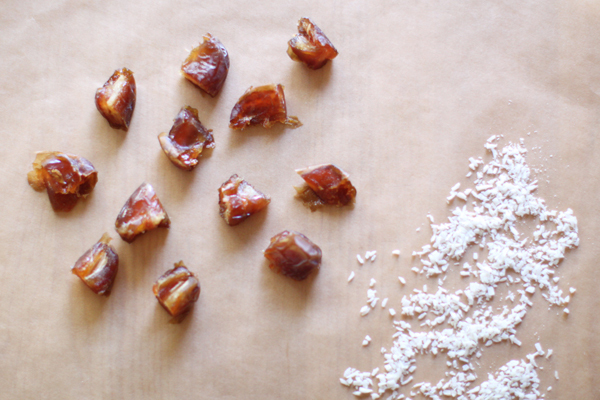 Transfer dough into a bowl and stir in flaxseed, coconut and maple syrup. If needed, add more maple syrup to help the dough stick together. Once combined, add chocolate chips. 4. 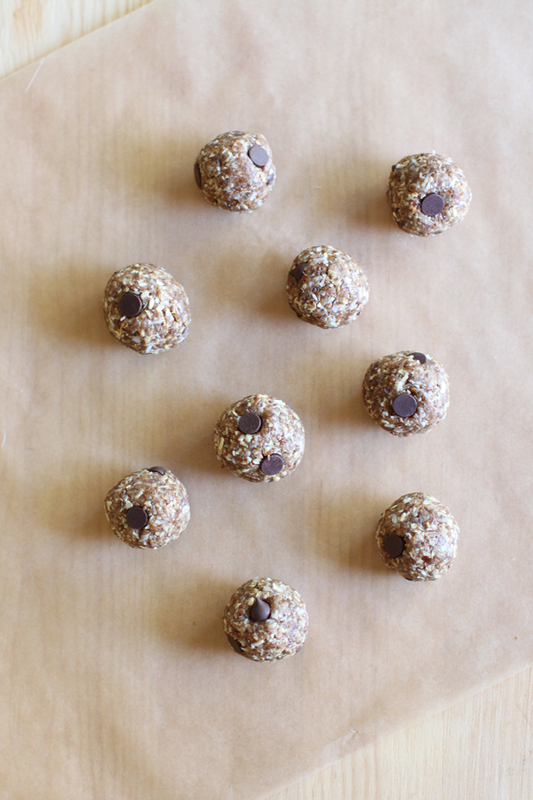 Roll dough into cookie balls, pressing any loose chocolate chips into the outside of the cookies.